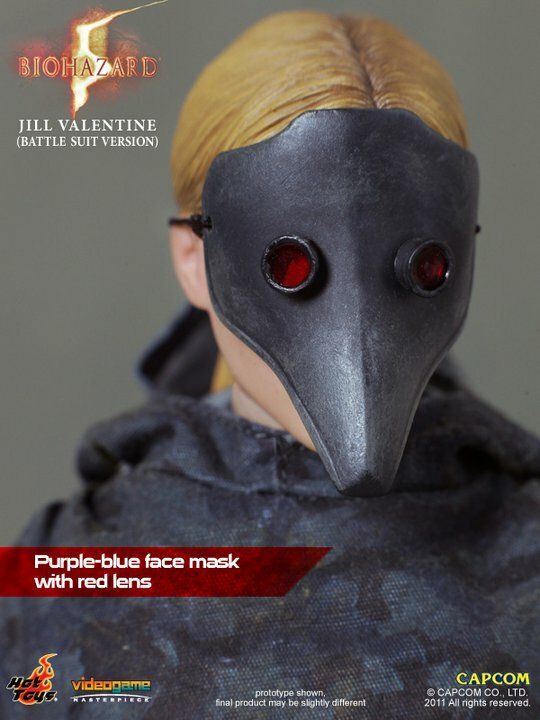 The Hot Toys Video Game Masterpiece Resident Evil 5 Jill Valentine Battle Suit Version (that’s a mouthful) is getting a few extra accessories. 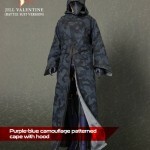 Hot Toy’s Facebook Page has posted two new photos of Jill Valentine. 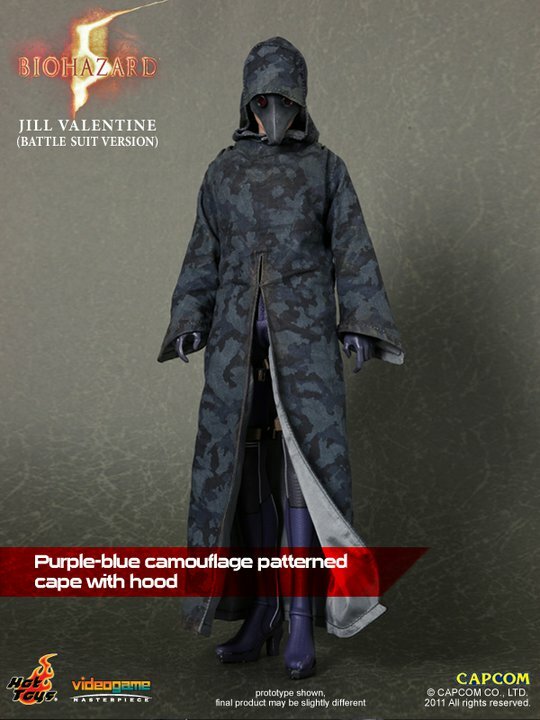 The figure will come with a “purple-blue camouflage patterned cape with hood” and a “purple-blue face mask with red lens”. Bump, reminder folks, sale ends tomorrow!